Today only a handful of the gold-platers remains as a reminder of the Turbulent Twenties. The ones shown here are the largest. Typically, the first three were designed by the now-defunct New York naval-architectural firm of Cox and Stevens and were built by Krupp in Germany. Well, they got this wrong, the Super yatchs are still going strong. Mcubsead – the “rising taxes” for the rich nose-dived in the Bush era. Heck, if you set up a corporation to own the boat you might even come out ahead. Actually, it was the Kennedy era when top-level income taxes really began plunging. Went from around 90% to 70%. This is what’s so funny and sad about the modern debate. Republicans cite this as an example of a Democrat knowing that reducing taxes on the top earners will have a trickle-down effect. Well, yeah. When you triple the take-home pay of the wealthiest individuals it will create some economic boost, but when we’re talking a couple points in the mid 30%’s, not so much. Interestingly, “Sea Cloud”, the top yacht on this article, is still out there and still one of the longest yachts in the world. Though, by tonnage, she falls a good bit lower. “….in 1955 was sold to the Dominican Republic dictator Rafael Trujillo, who renamed her Angelita. After his overthrow, she was acquired by Clifford Barbour, who renamed her Antarna. 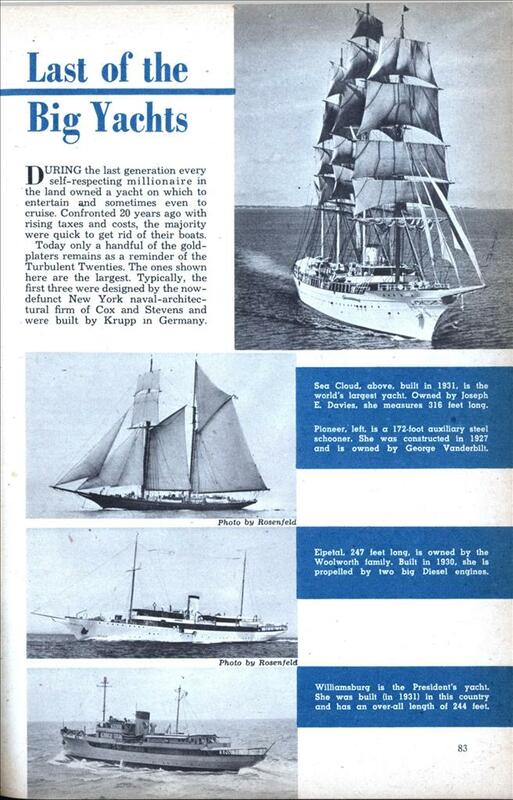 New German owners rescued her from neglect in 1978, returned her name to Sea Cloud, and rebuilt her in Bremerhaven. Taxes have declined continuously since 1964 to the point that the percentage of income the average American paid in 2010 was the lowest since 1940. Yet people still complain about how high the taxes are. Were the tax rates in 1952 crippling the economy? How about 1962, or 1972, or any decade where they were higher than they are now. In fact the last federal tax increase in1992 precipitated an economic boom. 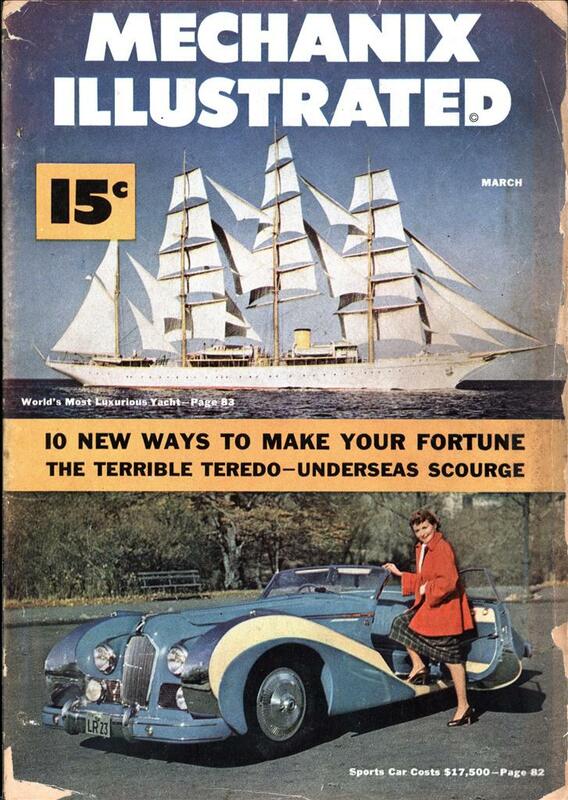 Sea Cloud is still out there and still one of the longest (if not larges by tonnage) yachts in the world. She’s had quite an interesting history. Eipetal is also still in use as a yacht. Williamsburg is rusting away in Italy, after a long and varied career as, successively, a private yacht, a WWII gunboat/command boat, the presidential yacht, an oceanographic research vessel, and a restaurant. Pioneer eventually became the Yankee Clipper and cruised as a commercial yacht until the company (Windjammer Barefoot Cruises) self-destructed in 2007 and apparently was (or is?) impounded in Trinidad in poor condition. All in all, it’s rather impressive how these four vessels have fared over the years.